Disney LOTR Poster. this is my entry for the movie poster crossover contest. I put a lot of hard work and detail into this one.. HD Wallpaper and background images in the disney crossover club tagged: disney crossover lord of the rings hiccup merlin belle. 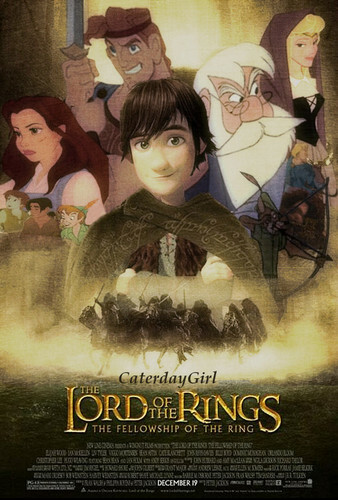 This disney crossover photo contains anime, grappig boek, manga, cartoon, and stripboek. There might also be teken, poster, tekst, bord, schoolbord, krant, tijdschrift, tabloid, vod, papier, and rag.